Divorce Doesn’t Have To Be A Battle. There Are Alternatives Available. While divorce is the only legal path to formally ending a marriage in Alabama, there are many different ways to go about obtaining a divorce. When most people think about divorce, the only thing to come to mind is a long and painful court battle that typically results in the life-long animosity that is so prevalent between many divorced couples. The truth is that these types of combative divorces are not necessary. There are a number of alternatives that are less confrontational, less costly and less time-consuming. 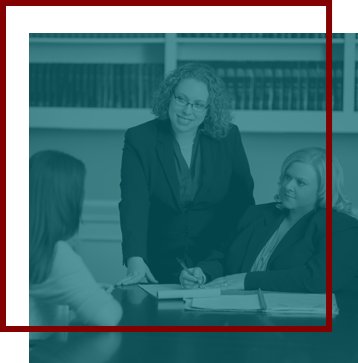 At The Rose Law Firm, LLC, our attorneys dedicate our entire practice to helping people resolve complex family law issues, and we are committed to finding the solution that best fits your needs. Many of our clients are relieved to learn that there are other options than going to court to get a divorce. We take the time to get to know our clients and to understand their concerns and goals. We fully explain the available options and advise them on any pros and cons that may be inherent to each one. We provide complete answers to all your questions and make sure you have all of the information you need to make the best decision for your situation. Legal separation: A legal separation is very much like a divorce, except that the marriage is not formally dissolved. All of the same issues are addressed in a legal separation as a divorce. Legal separation is sometimes used as a trial period to see if differences can be resolved or if divorce would be the right choice. Either spouse is able to file for divorce at any time during the separation. Uncontested divorce: In an uncontested divorce, the spouses work together and reach agreements on all of the issues pertinent to the divorce, including child custody, child support, alimony, property division and other matters. We’ll help you draft the divorce settlement agreement and get it submitted to the court. Divorce mediation: Divorce mediation is a collaborative approach to the dissolution of a marriage. A neutral third party, the mediator, will help you work through all of your differences until there are no disputes remaining. Once all of the disputes have been resolved, the process moves forward as an uncontested divorce. Contact our office in Birmingham to discuss your case with a lawyer. We offer a free, in-person consultation where you can learn more about your divorce options. You can reach us by phone at 205-323-1124 or via email. A representative of The Rose Law Firm is available at any time, day or night, to help you schedule an appointment.